H1Z1 lag might be troubling you when playing online. Don’t worry however, as we have compiled a series of workarounds that will help you solve the issue. H1Z1 has been one of the top survival horror games around and despite the game being in early access, there is a massive fan following and community for the game around the world. 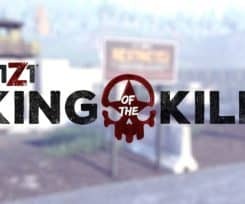 However, as its popularity continues to grow every day, players of the game continue to experience H1Z1 lag which includes instances of high ping, disconnections and other related issues. 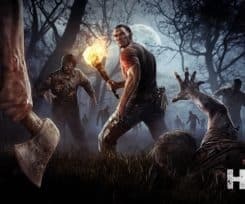 While the developers for the game, Daybreak Game Company have been working with Internet Service Providers around the world, reports of H1Z1 lag and other related problems continue to pour in as many players voice their concerns on different community forums. They have been extremely frustrated with the game lagging in general which is why they are unable to play online in a smooth and efficient manner. How to Fix H1Z1 Lag? This guide is going to provide you with some general fixes and tweaks to help you fix H1Z1 lag and while the fixes that we are going to talk about might not help you fix the problem permanently, they are going to help you improve your situation and reduce lag to a bearable level. So, with that said, let us have a look at some of the common solutions for lag. Meeting the above-recommended system requirements might be the solution you are looking for to fix lag. Another way to fix lag is to reinstall the game along with Steam. This might sound like a drastic and unnecessary step to you but this has helped a lot of users fix this problem permanently. A simple removal and cleanup using CCleaner and then reinstalling the game will also ensure that you have the latest available version of the game from the developers. Updating the game to the latest version will also ensure that you have all of the latest available optimizations from the developers which will help you fix this problem for good. Follow the above guide properly and you should be able to fix lag without recurrence. Follow the above-mentioned steps in the video and you should be able to fix your problem reliably without any problems. H1Z1 lag spikes are usually linked to irregularities within your internet connection or your network. There are a few fixes that you can try on your network. Let us have a look at a few of them. Furthermore, if you want to get away from the pesky Pink Lock issues in the game, then we have a second guide for you. Check out our H1Z1 Pink Lock Guide for more details. First off, you should make sure that you have an adequate internet connection available for gaming. While there is no fixed requirements in this regard, a 4MBPS internet connection is considered necessary for online gaming. You should also make sure that you have no other programs running on your computer or other devices in the background that may be utilizing your internet connection when you are playing games online as this is one of the major reasons behind H1Z1 lag spikes. Another way to fix H1Z1 lag spikes is to switch to a wired internet connection instead of a wireless one. A lot of people have been able to fix their lag problems by simply switching to a wired internet connection and while this sounds quite simple, it has helped a lot of people with this problem. Many people have been able to fix lag by using different free and paid gaming VPNs available out there. 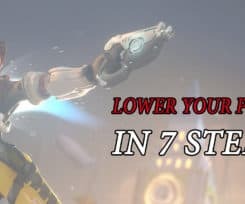 These Gaming VPNs have helped many people fix this problem for good by using different techniques to reduce your lag and latency to the game server. One of these popular gaming VPNs is Kill Ping. This program uses a network of dedicated servers around the world to reduce your latency to the game server and has helped a lot of people with fixing lag. 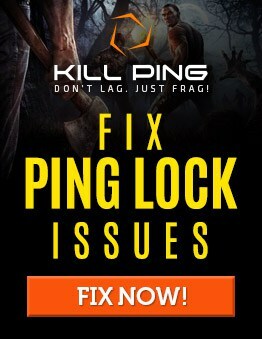 Considering the success and reliability of Kill Ping in solving this and other related problems, you should try our Kill Ping to see if it helps you with your problem. To learn more about Kill Ping and its many features, head on over to the official website. Gaming since the early Intel 486 Days and have seen every gaming generation come and go since then. 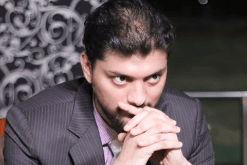 An editor by profession and a passionate gamer.